What is Navgraha Shanti Puja? 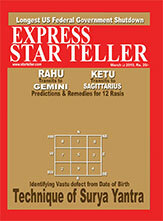 The nine "grahas" or planets in our horoscope control our karma, our desires and their outcomes. Each of these nine planets exerts an influence in our lives, which is called "dasa" and it can be known from one's horoscope. Navagraha Shanti Puja is undertaken to reduce the negative effects and improve the positive energies related to a person. Why pray for Navgraha Shanti? The nine planets have special kshetras ( place of worship ) in South India. Most of them are concentrated near the Thanjavur district. Navagraha puja will be helpful, when the concerned planet dasa or sub-dasa is in operation or if the planet is associated with malefics or is in the 3rd, 6th, 8th, or 12th house. Those who aspire for sound health, prosperity, good eyesight, strength and courage, success, cure of chronic diseases like leprosy, heart ailment, nervous weakness, asthma etc. should worship the Sun. Also those running Sun dasha or Sub-period. Click here for personal pujas. For concentration, mental peace, pleasing personality, control of emotions and to get rid of mental depression one should worship the moon god. Also those running Moon dasha or Sub-period. If giving bad results, needs to be propitiated well. It is one of those planets that give very visible positive or negative results. Those who are weak at studies, lack concentration and suffer from blood pressure and sugar problem etc., should worship Budha. Also those running Mercury dasha or Sub-period. 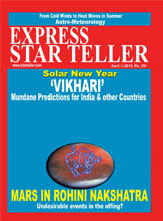 The planet Venus (Shukra) is the most benevolent of all the planets. To have a happy married life, one should worship this planet. Also those running Venus dasha or Sub-period. It is reputed as the father of every living thing. The worship of Jupiter grants pure, aesthetic life and good health & wealth. Also those running Jupiter dasha or Sub-period. Saturn or Shani the sun of Surya and Chhaya is also known as 'eeshwara' (The Supreme). It can make a person a king or a beggar according to the native's karmas. Also those running Saturn dasha or Sub-period. in marriage. Also those running Rahu dasha or Sub-period.